Our staff showed off their singing – well lip synching – skills recently when asked to star in a promotional film for a new musical. 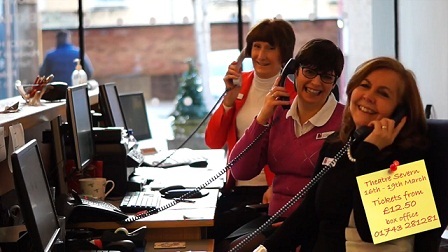 Several members of the Wace Morgan team, together with staff from other shops and offices across Shrewsbury, took part in a You Tube video to promote 9 to 5: The Musical which will be performed at the town’s Theatre Severn From March 16 – 19. The show is being staged by amateur group Get Your Wigle On and promises to be a lot of fun – just like the video!